Paul Comper is a clinical neuropsychologist at the Toronto Rehabilitation Institute – University Health Network. 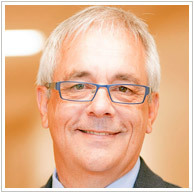 In addition to his clinical and research interests in the area of traumatic brain injury, Dr. Comper holds faculty appointments at the University of Toronto in the Faculty of Kinesiology and Physical Education, the Graduate Department of Rehabilitation Science (Faculty of Medicine) and the Faculty of Graduate Studies. Since 1999, Paul has worked with athletes at all levels who have suffered concussions, principally at the MacIntosh Sports Medicine clinic at U of T. Paul has published and presented internationally in the area of mild traumatic brain injury and sports-related traumatic brain injury. In 2009 he and his colleague Dr. Michael Hutchison led and then published a series of studies examining the mechanism of concussions in NHL players, which formed the scientific basis leading to Rule 48, penalizing blindside hits to the head. For the past 14 years Dr. Comper has been the neuropsychology consultant to the National Hockey League Players' Association (NHLPA) and is the Co-Chair of the joint NHL/PA Concussion Subcommittee.